A timeless and chic accent for living room, bedroom, or entryway, this classic wing back chair features just a dash of modern flair to bewitch the senses. 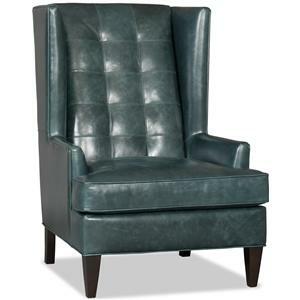 The tall, flared wing back catches the attention and the stunning nailhead trim detailing keeps it in thrall. 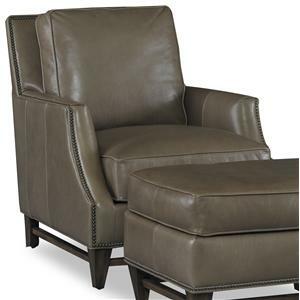 Customize the look of the chair to best match your decor with choice of nailhead colors, wood finishes, and upholstery options in fabric, leather, or two-tone fabric and leather combinations. 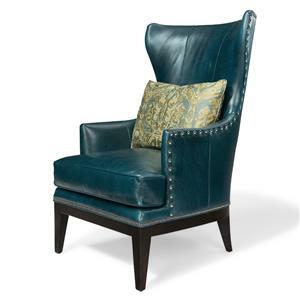 The Club Chairs Aurora Chair with Flared Wing Back and Nailhead Trim by Bradington Young at Baer's Furniture in the Ft. Lauderdale, Ft. Myers, Orlando, Naples, Miami, Florida area. Product availability may vary. Contact us for the most current availability on this product. 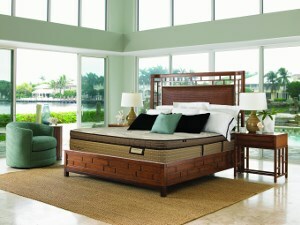 Fabric Options Only the most premium, select leathers from resources around the world are used. Well over 250 leather selections comprise a breathtaking palette of colors and textures, all supple, natural and top grain. Over 300 fabrics are available as well. Wood & Finish Exposed wood legs available in Albany Park, Antique Black, Casablanca, Classic Cherry, Mahogany, Maple, Rustic Brown, and Vintage. Frame Construction To insure lifetime stability, all frames are constructed of kiln-dried selected hardwoods that are precision machined. All corners & joints are double doweled, blocked, glued & screwed into position. For added durability, steel "L" brackets are added. Padding & Ergonomics Choose from Blend Down Cushion Option and Ultra Down Cushion Option. 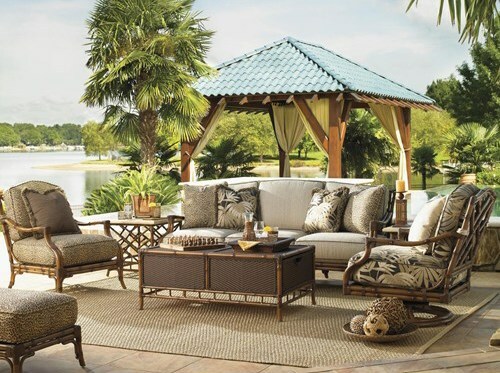 Warranty The reclining mechanism, seat cushion cores, and wooden frame parts are warranted against defective materials or workmanship for the useful life-of-the-chair, based on reasonable use. Springs, padding and filling are warranted for one year. 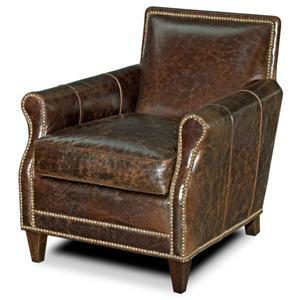 A fantastic club chair makes the perfect finishing touch to the look of any room. Take your pick from these traditional to contemporary options. 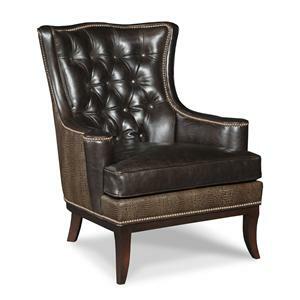 Made by American craftsmen with high quality standards, these chairs feature a variety of luxurious leather, high quality fabric, nailhead trim detail and wood finish. For a unique, custom look these chairs offer an ideal spot for your living room, home office, and master bedroom seating area. The Club Chairs collection is a great option if you are looking for Transitional Contemporary furniture in the Ft. Lauderdale, Ft. Myers, Orlando, Naples, Miami, Florida area.